That is a cool shot!! Thanks, Amy. I didn’t notice the bird tracks at first. That it is. Snow captures the tracks of so many animals so well. 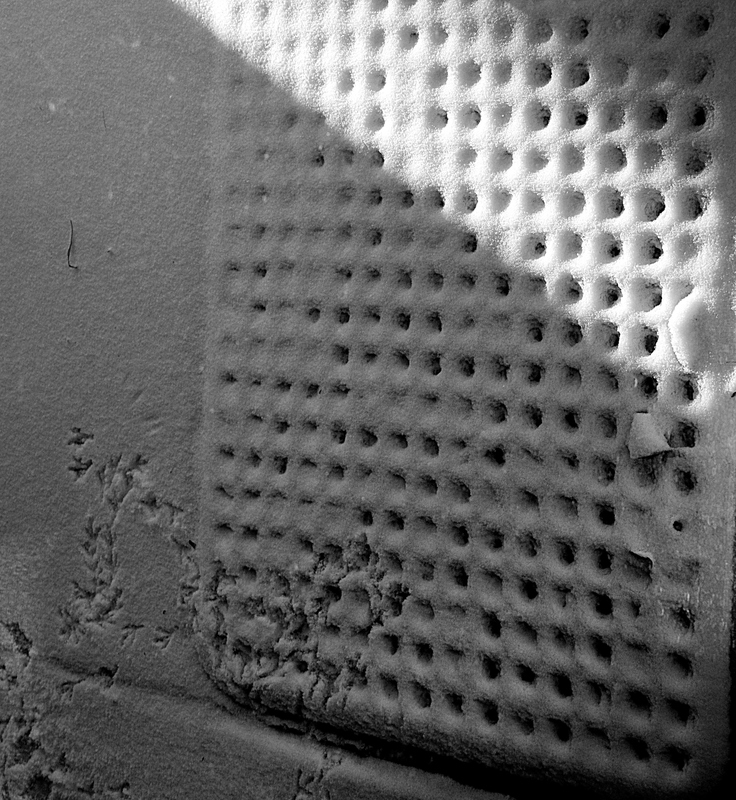 My focus was on capturing the snow pattern on the door mat. The bird tracks were a bonus! I like when things like that happen! I do too. A nice little surprise.